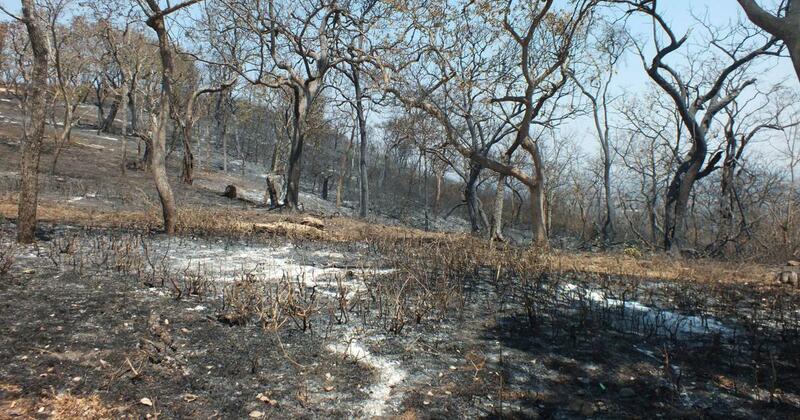 In the last week of February, Bandipur Tiger Reserve lost over 60 square kilometres of forest to a massive fire, despite the best efforts of hundreds of people who tried to put it out. The incident was widely covered in the news, with sensational pictures of supposedly charred animals grabbing everyone’s attention. The loss of forest land was lamented as irretrievable and devastating. The grassy forests of Bandipur, however, like many dry deciduous “forests” in south India, are not forests at all. The trees here are adapted to fire and the dry grasses fuel it frequently in the dry months between monsoons. These ecosystems are more open than closed canopy forests and the hardy vegetation found here can withstand drought conditions. Majestic teak (Tectona grandis) and Arjuna (Terminalia arjuna) trees dominate the skyline and these natural ecosystems support a wide variety of birds, mammals, reptiles and invertebrates, contrary to the belief that they are wastelands or degraded forests. Mesic savannas receive more rainfall than some other iconic savannas of the tropics, but such ecosystems the world over are characterised by frequent burning and drought. 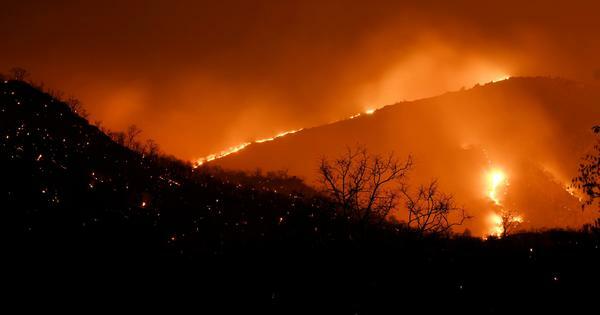 India, however, has a blanket fire-suppression policy in place and this is doing more harm than good to these tree-grass ecosystems, find a series of studies. 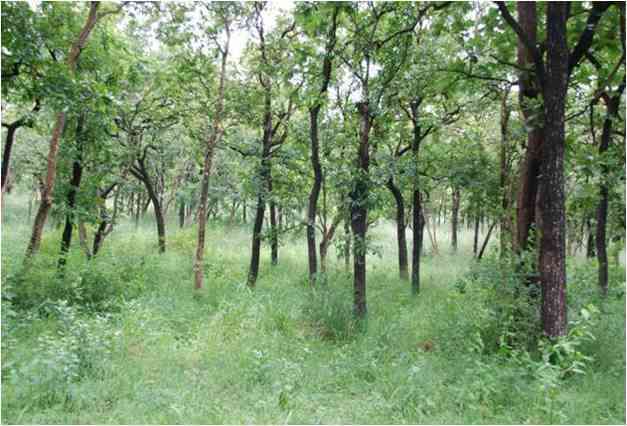 Grass dominated understory, in a mesic woodland savanna, Mudumalai Wildlife Sanctuary. Photo credit: Ed February. “The more we worked and documented, the more we realised that viewing these ecosystems as forests resulted in a fundamental misunderstanding of their functional ecology, especially the roles of fire and herbivores in maintaining these ecosystems,” added Ratnam. Savannas are ecosystems having a continuous layer of grass along with a discontinuous tree canopy. However, this structural definition of a savanna doesn’t take into consideration other biological traits of individuals and communities, which provide clues about the evolution and functional ecology of this ecosystem. For instance, studies show that tropical savannas are almost always trees interspersed with grass of the C4 kind. C4 photosynthetic plants lose as little water as possible and are adapted to live in hot and dry environments. 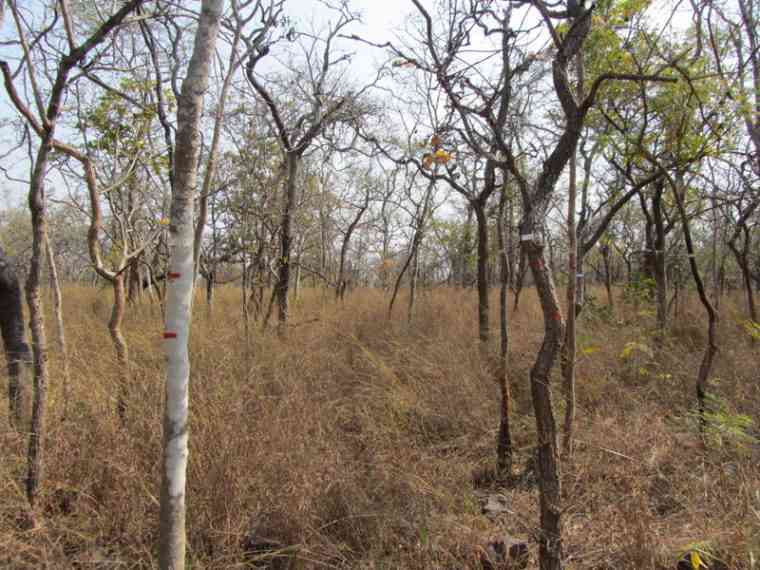 The C4 grasses in Indian savannas are subsequently highly tolerant of fire, but shade intolerant. They also prove to be highly flammable in the dry season and readily promote fires. Such fires create open environments with little shade and both grasses and savanna trees that are intolerant of shade depend on this fire to grow. Savanna trees have a number of adaptations to live in a fire-driven ecosystem. Their large underground storage organs and roots contain much of their resources and fire cannot damage these stores. Saplings re-sprout quickly and grow rapidly. Adult trees have less dense canopies than forest species, allowing more sunlight to permeate to the ground level. Mature trees also have thick bark. A 2019 study found that on average, savanna tree species from peninsular India produced twice as much bark as evergreen forest trees. The researchers compared traits of trees from areas classified as dry deciduous forests and evergreen forests, in order to see how savanna species differed from forest species. 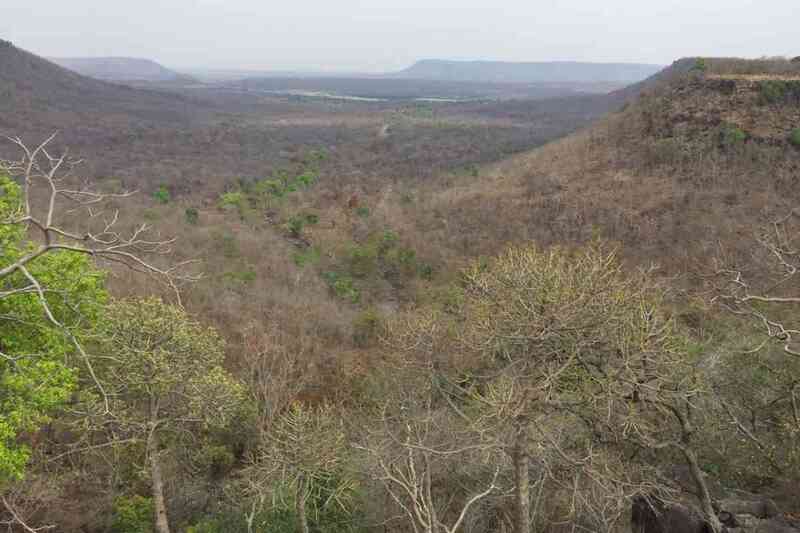 Typical semi-arid to mesic woodland savanna in summer, at Panna National Park. Photo credit: Abi Vanak. “The evergreen forests provide a contrast from approximately the same geographic region as the savannas, which is relevant when making traits-based comparisons and inferences,” explained Anand M Osuri, a co-author of the paper. These leaf- and stem-based comparisons that the researchers made helped them make their case that the dry deciduous forests were, in fact, savannas. Historically, indigenous people in India used controlled burning as a way to manage their forests. The Soligas of Biligiri Rangaswamy Temple Wildlife Sanctuary, for example, would set fires early in the summer for a wide variety of reasons. Ground fires, they believe, kept hemiparasites at bay, and now, adult trees are falling prey to these organisms that depend on them in part for their survival. 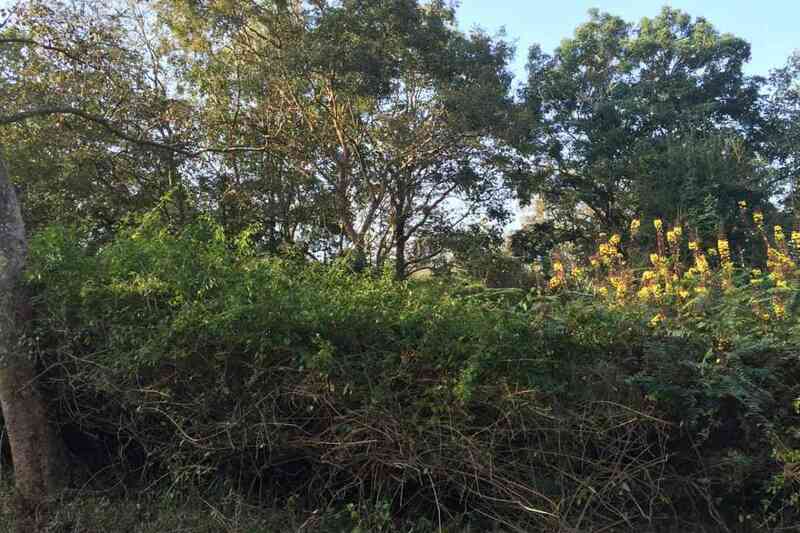 Soligas find that the invasive Lantana has spread, to the detriment of understorey plants and altering the structure of the forest significantly in the process. This spread of Lantana can have detrimental effects across trophic levels. “Allowing for periodic fires creates a mosaic of different densities of woody vegetation and also prevents the dominance of some weedy species such as Lantana camara. What we see now in most peninsular Indian “forests” is that fire has been totally banned and as a result Lantana has completely taken over the understorey. Since few herbivores eat the leaves of Lantana, this is going to reduce ungulate density and therefore negatively affect large carnivores such as the tiger,” said Abi T Vanak, an associate professor with the Ashoka Trust for Research in Ecology and the Environment. Heavily Lantana dominated understory in the BRT tiger reserve. Photo credit: Abi Vanak. A 2017 article notes that the absolute ban on using fire to manage these “forests” comes from colonial-era forest policy. In the 1800s, the Imperial Forest Service declared that all forest fires were harmful and that they should be prevented, disregarding pre-existing traditional practices of periodic burning to manage the land. The European foresters had learned that fire was harmful for silvicultural activities, and applied the same knowledge to Indian forests which were, after all, viewed as a timber resource. But the foresters were not able to ignore the negative effects of their no-fire policy forever. In the 1930s, amid reports of disease spread, decreasing soil fertility, weeds and pests and massive uncontrolled wildfires, they were forced to allow burning in some forests. By then, the damage was done and controlled burning, learned over 50,000 years, would never be practiced the same way again in the subcontinent. In peninsular India, all areas with some amount of tree cover have been classified as forests in the past. Open mesic savannas have not been differentiated from deciduous forests since early British foresters saw the ecosystem’s value purely on the basis of timber resources. The grasslands were forgotten, despite harbouring rich biodiversity. Ratnam said that urgent research is needed to understand how the spread of Lantanaand suppression of fire have altered fire dynamics in the region. The Nagarjunsagar-Srisailam Tiger Reserve. Photo credit: Swapna Nelaballi.